If there is anything your digital assistant can tell you that can make you crack, what would it be? When it comes to clever one liners, Siri, Apple’s mobile assistant, will never put you down. Just this afternoon Breaking Bad actor, Aaron Paul tweeted his followers to ask Siri a mathematical question. Following the thread, his followers seemed to be pretty impressed at what Siri had to say. 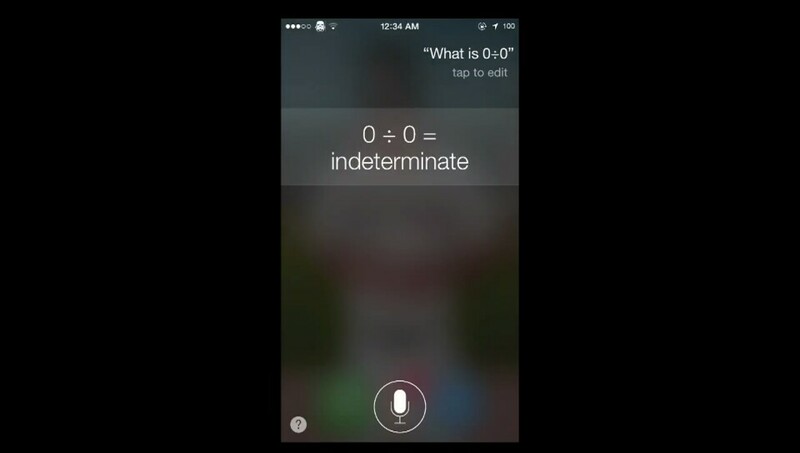 Zero divide by zero is actually an internet slang that meant doing something impossible that will yield negative results but Siri seriously tried to answer this mathematical equation by giving a somehow logical example. Here is a viral video of Siri answering the question. Now with a funny Easter Egg answer digital assistants like Siri has, we would know that he/she or it is not just capable of providing you with sports scores or directions, but can give you a good laugh as well.